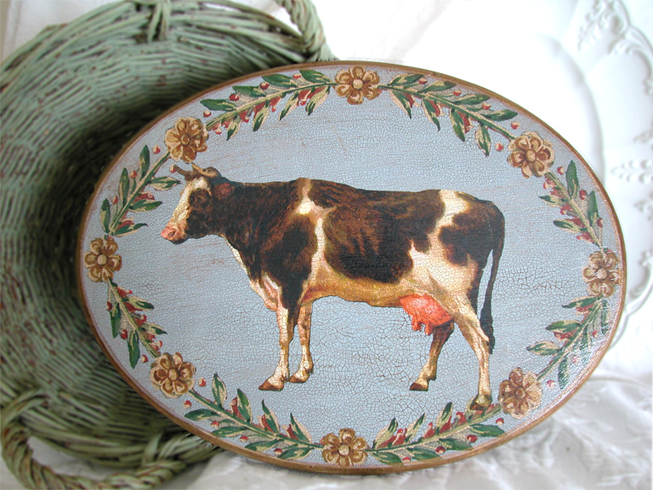 This wooden plaque with a black and white cow on a french blue background measures 11 by 14 inches. Perfect to hang on a wall, set on the back of a kitchen counter or place on shelf. The wooden plaque comes ready to hang and is signed by the artist.